Handy for slicing, dicing and mincing. 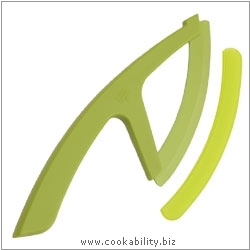 The rounded blade allows you to roll over herbs, vegetables and garlic with ease. Matching sheath helps keep blade sharp.